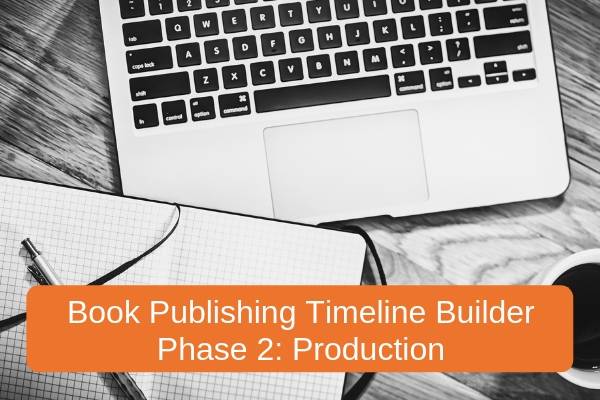 In this third installment of Bublish’s “Book Publishing Timeline Builder” Series, we’re diving into the Production Phase of the Publishing Process. This is the time when you put all the elements of your book together in a physical, digital or audio format, so that your book can be produced and then sold in the marketplace in one or more formats. Many of the decisions that inform this stage of the publishing process, should be made well before production begins. 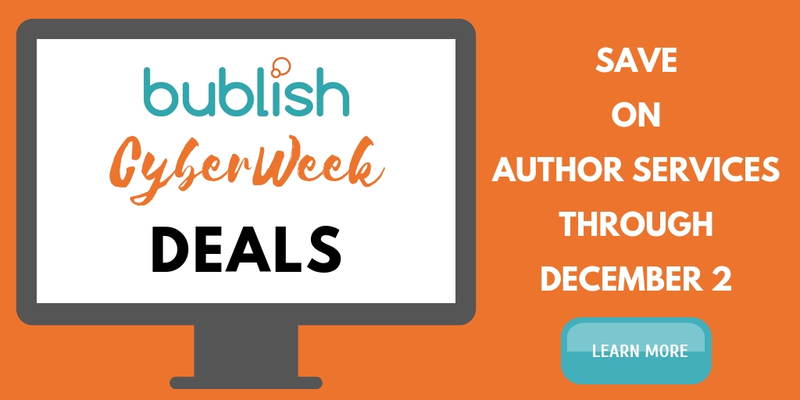 For example, you’ll want to decide upon a title, subtitle and a series title (if applicable) during the Development Phase when you are working on how to position your book and studying your audience and comparable titles. Your positioning work should also reveal which formats are most popular in your genre. In some genres, eBooks rule; in others print is still king. Some books need to be produced as both a paperback and a hardcover; others only paperback. Audiobooks are growing in popularity, but they’re expensive to produce. Will you need an audiobook at launch? The formats in which you choose to produce your book will inform your production schedule, so you’ll want to make format choices early in the publishing process during your positioning study. 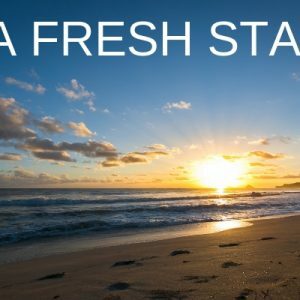 If you haven’t read the beginning of the series, click here. Whether we like it or not, readers still judge a book by its cover. Actually, in the age of Pinterest and Instagram, our fascination with interesting imagery has increased, not decreased. Online consumers are bombarded with ads and messages, but a thought-provoking image can still stop them in their tracks—and that’s exactly what your book cover should do for readers in your genre. Additionally, in a sea of online books, cover designs make it easy for readers to quickly sort out the professionals from the amateurs. You can’t look like an amateur these days; there’s too much competition for readers’ attention. Online, you have about 7 seconds to compel a reader to buy your book or sample the “look inside” feature. Your cover has to say a lot to readers in your particular genre in a very short time. The power of a well-designed cover can’t be underestimated in today’s competitive book marketplace. Cover files are finalized after the page count of the book is established during the interior layout process. That’s because the width of the book’s spine must be precise, and the page-count of the book determines the spine’s width. However, a draft version of your cover is often needed much earlier in the publishing process. Cover reveals, for example, are a popular marketing practice that can happen many, many months before a book launch. Draft cover files are used for Advanced Reading Copies (ARCs) that are sent out for early reviews, back cover blurbs, etc. Cover files are also important for pre-order campaigns, which can go live many months in advance of the book’s launch. This is why you should be working on your cover design early in the publishing process, while you’re still editing your manuscript. In addition to its job of attracting readers, your book cover also expresses important information to distribution databases and online-retailer algorithms. Your title, subtitle and series title must all be mentioned on your cover in order to be added to the information about your book (called metadata). Make sure you have this information in hand before you approach a professional cover designer. Fitting text on the cover and coordinating it with the cover’s art is an important part of the designer’s work, so he or she needs to have this information before they start designing. When you’re ready to hire a professional cover designer, you’ll need to be able to communicate key themes in your book as well as overall tone and pace. Some designers will ask you to fill out a questionnaire—that’s what we do at Bublish. Having a draft synopsis ready will help the designer understand the content of your book. Also, as a result of your positioning work in the Development Phase (done by you or with the help of a professional), you should have a handy list of covers from comparable titles to show your designer. You’ll have studied the covers of these titles and be able to express to the designer what elements you like and don’t like (font, color scheme, imagery, overall design, mood, etc.). As for a timeline, leave at least one to two weeks for design exploration and another two weeks for reviews and revisions with your cover designer. You may also want to leave time to gather and incorporate feedback from others. And, remember, it is common to design a draft cover early in the publishing process and finalize the cover files (especially for print) later, during the Production Phase. If you are producing your book in multiple formats, especially audio or hardcover, there are special file considerations. Make sure your designer has this format information early. Formats may impact design decisions and will definitely add to your design and production timeline. Finally, it is important that your designer has produced cover file outputs for the printers and distribution channels where you plan to place your book. File specifications vary. If you don’t want your book to be rejected during the printing and publishing process, your designer needs to know how and where the book will be printed and published. There are differences between print-on-demand specifications, digital print specifications and offset printing specificiations. Plan and do your homework with regard to printing and distribution (which we’ll discuss in a future installment of this series). Make sure you’ve communicated these specifications to your professioal designer. Beautiful covers can’t do their job in the marketplace, if they are rejected or malfunction during the printing or upload process. Problems with files happen all the time. It’s one more reason to work with a professional designer who knows how to output professional design files to meet these specifications. The art of interior book design carries the tone captured on the cover throughout your book. Interior design encompasses everything from the lovely chapter openers, to fonts, formatting and more. There is a whole lexicon associated with interior design: drop caps, kerning, leading, fonts, margins, glyphs, gutters, bleed, and on and on. Since you might not be conversant in this language, it is important to have examples of layouts you like in your genre. Show these to your interior layout designer and ask for several sample interiors to be created for your book. This way, there will be no confusion about your interior design choices. Sharing the formats in which you plan to publish is also important. For example, some print layout decisions don’t translate well into the eBook format, so the designer needs to know if you plan to publish in both formats. If you plan to include images or illustrations in your book, the interior designer should have access to them as early in the process as possible. The quality, size, format, etc. can all impact the designer’s decisions about how to incorporate them into your book. Your designer may need extra time to manipulate an image or request that you take an image or illustration to a specialist in order to prepare it for layout. You don’t want to hit a snag in your production schedule because an image or illustration needs attention. In addition to the manuscript (and images, if applicable), a number of other pieces of information should be finalized before you take your book through the interior layout process. Your book’s front and back matter should be ready for the designer. Don’t underestimate the number of important pieces of information that need to go in the front and back of your book. Prepare all of this before you go into the interior design phase. You don’t want to be scrambling at the last minutes; that’s how mistakes are made. Finally, a word of caution about making editorial changes to your interior layout. When your book’s interior layout has been output as a PDF file for your review, you will undoubtedly find typos…hopefully, only a few. These typos can be fixed, but at this point in the publishing process changes to the text can impact the page layout. Also, it is possible that you will have a layout person, not an editor, executing these changes. That’s not ideal. For these reasons, it is crucial that your manuscript goes through several professional edits before you take it into the interior layout phase. If you make substantial editorial changes to a book that has already been through layout, you risk introducing design mistakes or worse have to have the book layout redone—costing you time and money. Expect the interior layout phase to take at least two weeks for a simple text-driven manuscript and longer for books with multiple design elements. A heavily illustrated work can take three or four weeks or more. If you’re planning to send our ARCs for early reviews, you’ll want to plan to go through layout as early as six to nine months in advance of your book’s launch. You can learn more about ARCs in next week’s installment of the series, which will be all about marketing. If you are planning to publish both print and digital versions of your book, the eBook will most likely be generated after final corrections have been made to the interior layout. As mentioned early, some design elements might not translate well into the eBook format, so some design decisions might need to be made during the conversion process. Simple digital conversions can take one to two weeks, while more complex conversions can take a month or more. As with cover and interior files, each retailer and distribution channel has its own specifications. 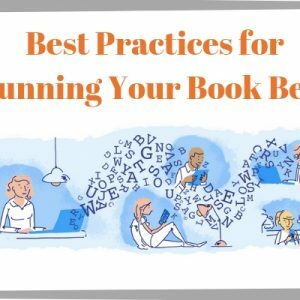 Make sure that your conversion specialist is familiar with all of them, so you don’t hit any hiccups when you’re finally publishing your book. If you’re producing both a paperback and hardcover in the same trim size, then the same interior files can be used most of the time. However, if the trim size is different, then the interior files will be different, too. Again, these decisions should be made during the Development Phase and factored into you publishing timeline. Audiobooks require a completely different production process. We could write several articles on this format alone. Though we can’t go into all the details in this series, we will take a moment to emphasize that audiobook production is time consuming. If you plan to launch several formats of your book at the same time, including an audiobook, it’s important to understand your audiobook production schedule as early as possible. This way, you’ll be able to coordinate the production schedules across formats. 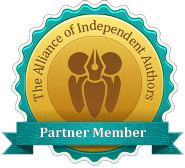 For authors, the challenge of the Production Phase is that it intersects with several other phases of the publishing process. There are a lot of those “dependencies” that we discussed in the first installment of this series, and that makes production a bit of a juggling act. The key to managing it all comes back—once again—to informing yourself early in the process and planning out a timeline that takes these dependencies into account. 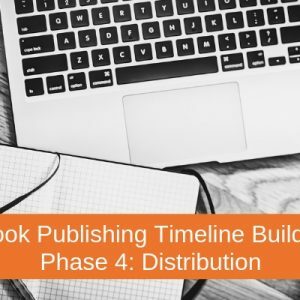 In our next installment of our “Book Publishing Timeline Builder” Series, we’ll dive into the all-important Marketing Phase of the Publishing Process. See you next week!